AREA 51 BACK GATES, MANIKAN CAMO DUDE? On this day of my trip to Area 51 I definitely got more than I could have imagined. I first went to Little A’Le’Inn, and met some wonderful people. I talked with three people that were staying in Rachel for two months. They were more then willing to tell me what they’ve seen over the years while snowbirding there. They told me that camo dudes, and area 51 employees stop there all the time to have a drink. Also the many stories of hundreds of concreat trucks that were going in, and out of the base for months. They assured me the base is very active, and has only gotten larger, and more active. Then I drive through Rachel to a dirt road that leads to the back gate. 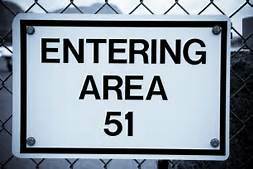 The back gate is the most photographed gate at area 51. Then I drove to the less known 3rd gate in the mountains. This gate is by far the most creepy of all the gates. With a dirt road made for just one car, and being so far up in the mountains. If a camo dude wanted to do something to you. Then this gate would be the perfect place to do it because no one would know. As I was driving down I could see pretty far down the road. Out of nowhere comes ripping up the road a camo dude in a Dodge truck. Must have dumped the Ford Raptors. When I enlarged the video of them passing me. I noticed the camo dude on the passenger side was a manikan or dummy. I do believe I’m the first to capture this. Thank you for watching Christian. If you re-upload give credit to 2wADV.com and MacADVentures and embed from our channel. EVERYONE SHARE LIKE CRAZY, WE MIGHT HAVE TO TAKE THIS DOWN SOON DUE TO THE US GOVERNMENT!! DON’T LET THEM HIDE THIS!! This is raw and shot in real time. Not fake or PHONY! We bring you the extreme footage shot by us. I don’t know how long it will be up until the Gov’t makes us take it down! (For licensing or usage, contact licensing@viralhog.com) Shot exclusively with Sony Action Cameras We are back! With fresh new footage from our most recent ADVenture and we captured some of our best footage yet! 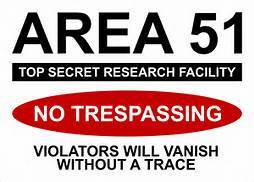 WATCH the ONLY footage you’ll ever see of AREA 51 camo dudes holding civilians at gunpoint! LAS VEGAS — A tour bus carrying visitors to the edge of the top secret Area 51 military base has done something that many people have only fantasized about doing. It crossed the line and entered the base. 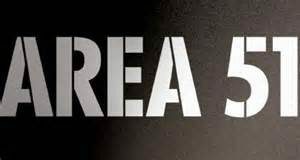 The driver and his four passengers learned a quick lesson about how serious Area 51 is about its boundary and its security. And the entire incident was captured on video.